Kasane (Botswana) (AFP) – African elephants could be extinct in the wild within a few decades, experts warned on Monday at a major conservation summit in Botswana that highlighted an alarming decline in numbers due to poaching for ivory. The Africa Elephant Summit, held at a tourist resort in Kasane, gathered delegates from about 20 countries across Europe, Africa and Asia, including China — which is accused of fuelling the illegal poaching trade. “This species could be extinct in our lifetime, within one or two decades, if the current trend continues,” Dune Ives, senior researcher at Vulcan, a philanthropic organisation run by US billionaire Paul Allen, said. The conference heard latest figures from the International Union for Conservation of Nature, which reported that the African elephant population had dropped from 550,000 in 2006 to 470,000 in 2013. East Africa has seen the worst decline, from 150,000 to about 100,000. “The overall objective of this meeting is to secure commitments at the highest political level to effectively protect the elephants and significantly reduce the trends of killings of elephants,” said Elias Magosi, from the Botswanan environment ministry. Elephant hunting is often organised by international criminal networks to supply the illegal ivory market, mainly in Asia, with some profits thought to fund regional conflicts and militants. “These syndicates take advantage of conflicts, social unrest, poor governance,” Magosi said. TRAFFIC, the wildlife trade monitoring group, said ivory trading routes demonstrated the flow from Kenya and Tanzania to transit countries including Vietnam and Philippines, before going on final markets in China and Thailand. There, the ivory is sculpted into jewellery or art pieces that are prized by the wealthy. “Thailand is still a country of great concern,” Tom Milliken of TRAFFIC said. Participants told AFP that during a closed discussion at the conference, a Chinese delegate complained that the country was being unfairly targeted and should be considered an ally in fight to save the elephant. 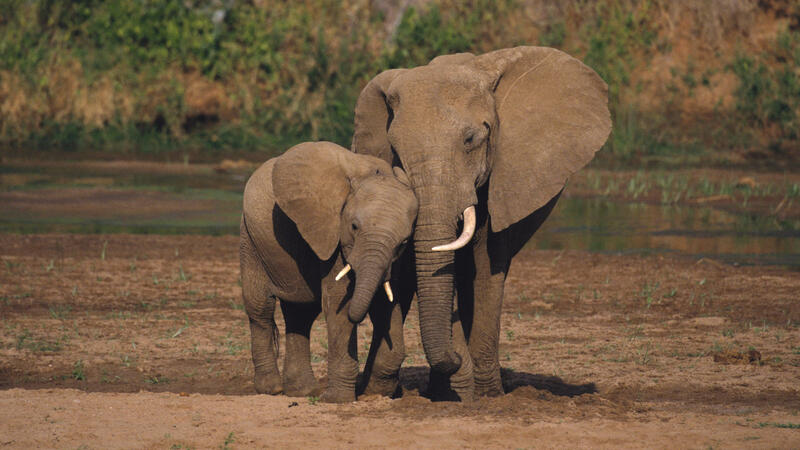 The delegate said China funds anti-poaching efforts in Africa and is strengthening legislation. The conference follows up a 2013 meeting when 30 countries adopted a set of urgent conservation measures, including a call to unite against poaching and for improved criminal prosecution. “We need a lot of collaboration,” said Kelly Landen from Elephants Without Borders. On Wednesday, the Conference on Illegal Wildlife Trade (IWT) will also meet in Kasane to focus on the trafficking of all threatened species — an illegal trade worth $19 billion a year, according to the International Fund for Animal Welfare. Ivory is reportedly bought at $100 per kilogramme ($45 per pound) from poachers, and sold for $2,100 in China. Julian Blanc, an elephant specialist for the Convention of International Trade in Endangered Species (CITES), said the link between poverty in Africa and poaching highlighted one way to tackle the illegal killing of elephants. “We have monitored a direct correlation between human infant mortality (a measure of poverty) at district level and levels of poaching,” he said.